Launched in 2012, the Sustainability School is an initiative designed to promote sustainability in construction supply chains. It provides free practical support in the form of e-learning modules, tailored self-assessment and action plans, sustainability training and networking. The Supply Chain Sustainability School is an initiative of the UK Construction Strategy 2025. This sets out clear ambitions for the construction industry - including 50% less CO2 and a 50% improvement on speed of job completion with 33% less cost. The School is committed to achieve these challenging targets in partnership with business leaders. An independent third party, Action Sustainability, delivers the work of the School and all partners sign up to a Code of Ethics. Over a period of time, the School aims to drive up awareness and understanding of sustainability issues in the supply chain nationally. Integral to the ethos ‘Job Done’ is superior product quality. Each and every product is stringently tested in high-tech laboratories prior to being released to the market. The products have achieved demanding EN standards for European markets and American ANSI standards for the US and Middle Eastern markets. Working closely with Lucideon, desired product quality is achieved and subsequent rigorous Quality Assurance processes ensure that product integrity is maintained on an on-going basis. Contrary to popular belief not all products passing the same industry classification deliver the same quality. All Norcros products comfortably pass the required standards to ensure ease of use and consistency on site. Norcros Adhesives’ products are superior formulations as demonstrated by blind product trials; they consistently match and exceed the performance of other leading brands. Norcros Adhesives are fully ISO 9001 and ISO 14001 certified and ensure that standards across the company’s quality management system are very high and promote continual improvement. The policy ensures that Norcros Adhesives comply with relevant legislation and environmental standards to provide quality products, which are fit for purpose to our customers. With a raft of environmental credentials to its name, Norcros Adhesives has a lot to contribute. In 2016 we won The Tile Association Gold Award for Best Environmental Initiative. This was in recognition of the many measures we have implemented to improve the environmental management of operations, including business management and the environmental impact of individual products. 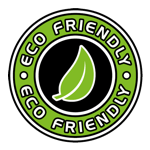 One of the company’s top products - Norcros Pro 30 Fast Track Eco Levelling Compound - is also its most environmentally friendly. The levelling compound incorporates recycled crushed glass, rather than quarried sand thus reducing the depletion of natural resources. LEED (The Leadership in Energy and Environmental Design) was originally developed in the US but it is gathering momentum here in the UK. The driver for this is often the client’s global corporate policy or, on prestige speculative developments, the needs of global tenants. BREEAM (Building Research Establishment Environmental Assessment Method) developed in the UK. BREEAM was created as a cost-effective means of bringing sustainable value to development. Norcros are highly conscious of their carbon footprint and work hard to minimise the mark left on planet Earth. Also understood is the challenges that specifiers face in terms of creating buildings that satisfy sustainability demands. Sustainability is at the core of our company ethos. If you have any questions about our products, or need help, then chat with our experts online.